Comprehensive, realistic, deployment-oriented training is a vital prerequisite for success in military operations and critical situations on land, at sea and in the air. Modern simulation technology makes a major contribution here - from individual instruction in equipment procedures to tactical leadership training for large formations. Rheinmetall has recently been awarded a contract to deliver the Leopard Gunnery Skills Trainer (LGST) and Driving Simulators under the Canadian Leopard 2 A4 Simulators and Trainers program. The 11 plus 2 simulators will be delivered to four sites located in Gagetown, Edmonton, Valcartier and Petawawa. Under this contract a combined Gunnery and Combat Training system will be delivered, which combines Rheinmetall's expertise in Leopard 2 with high-end simulation technology and the visualization capabilities and flexibility from VBS2. 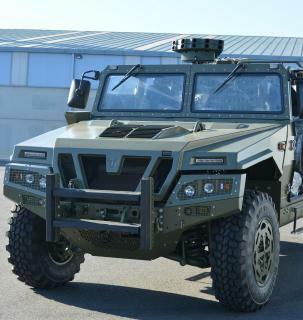 Additionally Rheinmetall has received a contract to deliver two Driving Simulators for the 6x6-Vehicle Fuchs 2 from an unspecified customer. The simulators will be equipped with a 6DOF motion system and high-res display system. Specialized databases to both address the specifics of the training area and the vehicle are included under this contract. For over 35 years, Rheinmetall has been supplying the world's armies, navies and air forces with simulation and training equipment, while continuously striving for improved performance. A selection of the defence technology Group's product portfolio will be on display in London at Stand B120 from 22 to 24 May 2012 at ITEC, one of Europe's most prestigious simulation technology trade shows. Another outstanding example of Rheinmetall simulation capabilities is the generic medium-fidelity Demonstrator for Gunnery and Combat - DESUG for short - which is used for training tank and infantry fighting vehicle crews. The commander's and gunner's workstations of a Leopard 2A6 fighting compartment are equipped with original components such as hand controllers and operator interfaces as well as highly authentic interactive replica touch panels. This enables training in highly complex operational sequences to take place without necessarily having to use real vehicles. The original equipment is linked to configurable touch panels via standard interfaces, exemplifying the flexibility and scalability of Rheinmetall simulation solutions, which are readily applicable to any simulated vehicle. DESUG features the Rheinmetall simulation system TacSi as its simulator core, which can also be used as a tactical simulator. 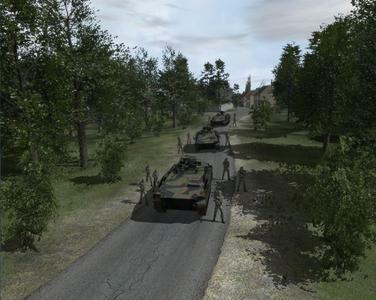 Coupling TacSi with Virtual Battlespace 2 (VBS2) from Bohemia Interactive enables integration of VBS2 visualization capabilities and the expandability of VBS2 interactive elements into the world of Rheinmetall simulation. 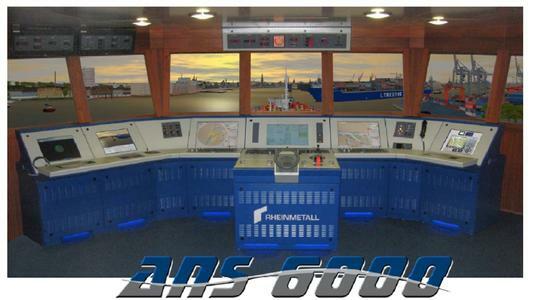 The system thus combines the full scalability and operational scope of TacSi and VBS2. Rheinmetall will also be showcasing a true-to-life model of the Advanced Network Trainer (ANTares), its mobile tactical training system. Besides crew coordination training, ANTares can be used for preparing entire units for operational deployments - even in country. 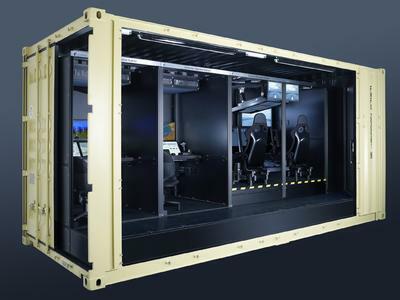 Thanks to Rheinmetall's modular cubical concept, the technologically advanced design makes it possible to network an extensive array of weapon system simulators, including land, sea and air assets, enabling sophisticated joint training operations. The simulation cubicles can be installed in containers in freely configurable fashion as a plug & play unit, resulting in the highly mobile ANTares training system. ANTares containers can be transported to the area of operations by road, rail, air or sea. The system also takes into account the vital importance of up-to-date databases for efficient mission rehearsal: in the space of a few hours, the intelligent workflow from Rheinmetall's Rapid Generation Database automatically produces the required virtual 3-D world based on the latest reconnaissance data. High-tech simulation does not require buildings or containers: it is equally applicable to mobile operations in the field using original equipment and weapons in live combat simulation scenarios. State-of-the-art communications technology and laser duel simulators are at the heart of this cutting edge application. 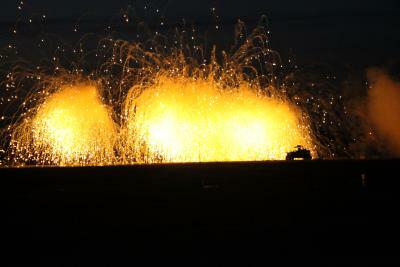 They replicate the effects of live fire from all weapon systems, including small arms and light antitank weapons, tank main armament, howitzers and IFV-mounted automatic cannon. An operations centre records all movements, actions and hits of vehicles and exercise participants as well as radio traffic, enabling comprehensive analysis and assessment of the exercise. Since 2001 Rheinmetall has been successfully running a major combat training centre of this type on behalf of the German Bundeswehr. In the meantime, the Russian armed forces and a customer in the Middle East have contracted with Rheinmetall to build and operate similar facilities. At ITEC, visitors can inspect individual LIVE combat simulation components at the Rheinmetall stand, including laser duel simulators. With over 2,000 systems in service worldwide, Rheinmetall offers a comprehensive array of products ranging from inexpensive computer-supported training systems to highly advanced full-mission simulators for surface combatants, submarines, land and aerial platforms as well as simulation capabilities for fully networked joint and combined exercises. Building on its extensive experience and unsurpassed expertise, Rheinmetall Defence is bridging the gap between virtual reality and the real world, supplying state-of-the-art training solutions to prepare personnel for their next mission.